Despite poor reviews and factual inaccuracies, Queen biopic Bohemian Rhapsody took home the trophy for Best Motion Picture – Drama last night (January 6) at the Golden Globes. The controversial win has reignited the haters, however, who took to Twitter in droves to once again point out the film's flaws. 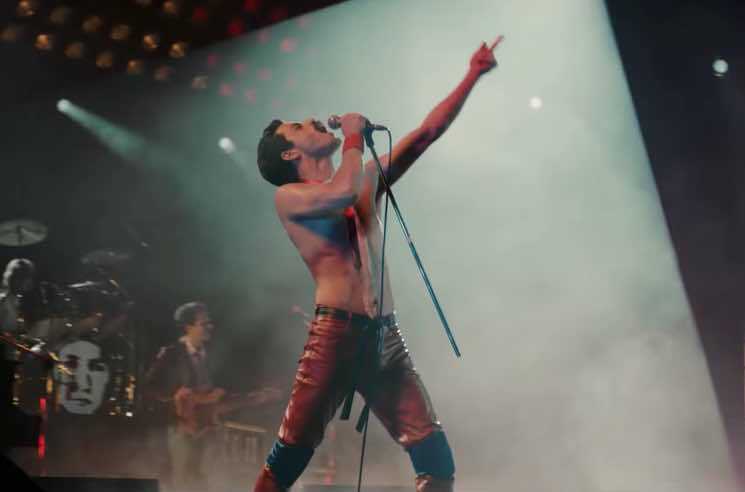 Some criticized Bohemian Rhapsody for its mediocrity, while others argued that it glossed over frontman Freddie Mercury's sexuality and swept the allegations against director Bryan Singer under the rug. The film beat out fellow nominees Black Panther, BlacKkKlansman, If Beale Street Could Talk and A Star Is Born. I basically enjoyed Bohemian Rhapsody but also I basically enjoy plain vanilla pudding sometimes too and I don't think that should win a Golden Globe either. Good morning to Green Book and Bohemian Rhapsody, two movies that let Hollywood feel like it's voting for progressive ideas, but which are actually insidious repudiations of everything the last year's reckoning has attempted to address!! i literally cannot believe that bohemian rhapsody, a truly trash film that i did pay money to see, was even awards-eligible. We have to understand that people sweeping Bryan Singer's pedophilia and sexual assaults under the rug and rationalizing the degree of his involvement on the film because they like Bohemian Rhapsody is the exact reason change is difficult to accomplish in Hollywood. Bohemian Rhapsody winning just further sweeps Bryan Singer's actions under the rug and that's the worst part because diversity, inclusion, and change are and will always be marketing ploys. The old boys club protects its abusers while wearing times up pins. The online backlash didn't dampen Brian May's spirits, though. Rami Malek, who portrayed Freddie Mercury in the film, also took home a Golden Globe for Best Actor in a Motion Picture. Singer, who was fired from the film but still received credit, was not nominated in the category of Best Director. Nevertheless, he took to Instagram to thank the Hollywood Foreign Press Association.